It's been a long while coming, and it's a revered musical instrument brand name I am regularly asked to feature on Got A Ukulele. Several years in and we got there at last with Kamaka. So this week I am looking at their HF-1 'Standard' (Soprano) Ukulele. This isn't the first Kamaka I have played, but it is the first time I have had chance to have one long enough to write up a review on account of the fact that I bought this one from Duke of Uke in the UK! 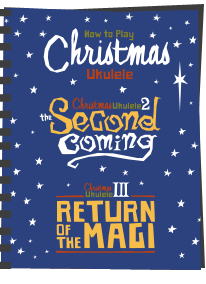 It's a fact though that Kamaka ukuleles are not actually all that common in the UK and it was only in recent years that they set up a small number of dealers over this side of the Atlantic, Duke of Uke being one of them. As such, it was always going to be a big ask to get one loaned from them and shipped over temporarily from Hawaii, just to appear on Got A Ukulele. Still, good things come to those who wait! Let's start with some background. Kamaka are perhaps one of the most revered names in ukuleles worldwide and are the original Hawaiian 'K Brand' manufacturer. The brand was set up in Honolulu in 1916 by Samuel Kamaka Sr and that is where they have stayed ever since making what some consider to be the best ukuleles around. 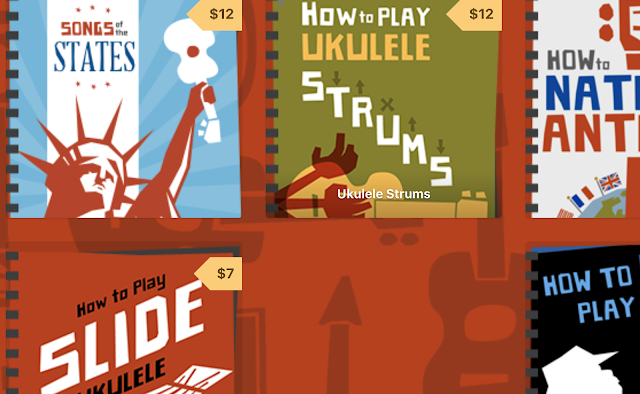 Kamaka actually started out being famous for introducing the first pineapple shape ukulele, which is still considered to be their 'signature' shape today, but they actually make a range of other shapes and sizes. And when you consider that Sam Kamaka Sr was acutally an apprentice to Manuel Nunes - the maker of the first commercial ukuleles ever, then you can understand why the history here is so revered. It's still a family business too, that was passed down by Sam Sr to his sons Sam and Fred who now involve their family members too, and so it goes on. It's a really nice story and one that shows that the family name on the headstock really is part of a family business through and through, and that matters greatly to them. No far eastern variants here, no gimmicks, no sellouts, just very well made Hawaiian ukuleles in the traditional sense. This one is a soprano shape and scale, but Kamaka actually call it their 'standard' and not a 'soprano'. This is an important point to note for those people who scoff at the soprano as being either 'not serious' or 'a toy'. Here we have the most seriously respected ukulele maker on Hawaii, (and possibly the world) considering the soprano to be their standard. And when you consider their heritage, this is, de-facto THE ukulele! You will also spot that this one has some extra wording on the headstock compared to other Kamaka ukes, and that's because this is an example from the centenary anniversary year in 2016 where they marked each one with a scroll inlay showing their 100 year history. It's otherwise identical to any other HF-1, just that this marking pins it down to 2016. I actually had the choice of a 2017 model without the logo, but I figured that they won't be making these ever again, so this was a nicer thing to own. In review terms though, you can consider this the same as any other modern HF-1 from the brand as no other elements differ. So, a typically soprano looking ukulele and in fact a really attractive, curvy, swooping double bout body. Curves in the right places and proportions for me and extremely attractive to look at. Being a Hawaiian ukulele it's made of all solid Koa wood - that is to say Koa that was grown and harvested on the Big Island as only true Koa is (anything else is Acacia - this is the only stuff that should be called Koa). Kamaka go further though, and this Koa is aged / seasoned for at least four years at the factory before being turned into an instrument. This ensures no future problems with woods splitting or warping as climates change and the ukulele ages. This is a great approach that should really be standard with all instruments. Sadly, many far eastern cheaper, so called 'hand made' brands are rushing instruments out with woods that have not been properly seasoned. By the time some of these have been in the UK or the US for a short while they have been known to split and crack. You know who you are! And naturally Koa makes for a very pretty tone wood. It's not one of their higher end models with ultra flame and curl in the grain - for that you will need to pay a lot more money! In fact this is 'standard' in many ways and is in fact the 'entry level' Kamaka in their range. Still, for an entry level instrument, the wood is utterly beautiful. The top and back are both made from two pieces and wonderfully book matched. They show of a nice amount of stripe in the wood and this one also has some horizontal flaming across the lower bout in particular which is extremely pretty in certain light angles. It's also a darker wood than some I have seen from Kamaka which I particularly like too. The sides are in two pieces with a darker wood joint strip at the base and area similarly pretty. Incidentally, that back is dead flat. I would also just say at this juncture that the light in the UK at the moment is proving terrible for photographs and these images really don't do this one justice to how rich and pretty it is. As you can imagine for a brand with this sort of heritage, the body construction is flawless and the woods are supremely thin and light. The whole thing is finished in a hand polished gloss which is to die for. Whilst it's not a full mirror gloss, I like it for that as it feels hand finished and not artificial. It's certainly shiny but extremely thin as you can still see some of the wood pores in the finish. I do read they can feel a bit sticky when new, but soon start to settle down to a more natural stable patina over time. There is no other decoration, and I would argue 'why would you need it'? Still for 'bling fiends' they also do more highly decorated and custom versions if you prefer that. Bridge wise this is a simple slotted style bridge made of rosewood and fitted with a Tusq artificial bone saddle that is compensated. Like the rest of the body this is extremely tidily done. Inside is extremely nice with simple delicate bracing and notched linings. We have a makers label with a unique serial number and this is also repeated on the neck block on a metal plate together with the manufacturing date - in this case 31 December 2016. That unique serial number allows Kamaka to trace it back directly to the build and from which stocks of wood it was made. The neck is made of a single piece of Honduran mahogany and is wonderfully finished. I suspect that it is attached with a dove tail type joint, but can't tell. It has a typically Hawaiian flat profile and whilst I was surprised the nut was not wider than it's 35mm, it's still comfortable for someone like me with big hands. It's topped in rosewood which is in great condition and comes with 16 nickel frets with 12 to the body joint so fairly standard for a soprano. As you would expect they are dressed wonderfully, but the edges are unbound meaning you do see the ends. I see some people get quite animated about soprano ukuleles with more than 12 frets as they claim that the wood over the top of the body restricts vibration. We shall see how this does in the sound stakes below, but clearly when one of THE original ukulele makers is choosing an extended fretboard, I have never really seen the worry myself. One word about the use of rosewood here. I don't yet know how Kamaka are tackling the CITES restriction on rosewood and whether they are changing to a different wood type. Being a high end brand with low volume production, I wonder whether they will stick with rosewood and go down the certification route. Answers on a postcard please! We have white dot position markers at the 5th, 7th, 10th and 12th and a single side dot at the 7th. I like that side dot and that is really all I need. When I say in reviews that I can never understand why these are not standard and it can't be a huge cost to add them, this is really all I am talking about. A single dot is fine for me! Not hard is it? Beyond the Tusq nut we have a three pointed crown headstock with a wonderful narrow base widening dramatically to a crown shape. When I say brands that use this are lazy in copying the Martin shape, I should really point out that it was the Hawaiian makers who first used this design and not Martin. So if anything these ARE the originals. I think it looks wonderful here. The face of the headstock is finished in a veneer of two pieces of bookmatched Koa which really sets it off. Set into this is the typical Kamaka Double K logo, a trademark they have used since 1958. As I say above, as this is a centenary model, the K's are inlaid in abalone, with a scroll denoting the 100 years inlaid in pearl. On non centenary HF-1 models the double K is a more simple pearl inlay. Nice either way and no transfer here. It's absolutely wonderfully done for an inlay and, unlike some who use this technique, is accurately fitted with no gaps or flaws around the delicate inlay work. Flipping it over and I'll first mention the narrow contouring and shaping at the base of the headstock. A real boon for someone like me with large hands as more space in this area for first position chords is an absolute must. Tuning wise, this is fitted with Gotoh UPT Planetary rear facing tuners. These are a joy to see, not just because they are superb quality and great to use, but because I believe that prior to this the HF-1 was fitted with adjustable rear facing Schaller tuners that I always thought looked a bit ugly and too big. These are absolutely superb, small and I love them. The metal work on these is in black and they have white buttons. Finishing the package is a set of Kamaka black nylon strings and ludicrously luxurious hard case with the Kamaka logo, deep blue plush interior and domed top. It also has great quality clasps and handle, usually the first things to fail on a hard case and the shell itself is super thick. Seriously, this is one of the nicest cases I have seen to come with an instrument as standard. Strings wise, I wouldn't normally go with nylon myself, but who am I to argue with over 100 years of heritage in ukulele building? We shall see how they go. And in the UK this spec was priced at around £780. No, that is not a cheap price at all but actually isn't wildly different to the prices of equivalent gloss sopranos from other Hawaiian brands like Kanile'a and Koaloha. Plus when you factor in that wonderful hard case which must be at LEAST £100 of the asking price, perhaps it's not too bad at all. Still, I will accept that it IS on the more expensive end of the scale. Let's have a listen. As you can tell from the description above, the build quality here is exemplary. It really is flawless and 100 years of ukulele building shows in the quality. It's also perfectly balanced and quite astonishingly light. When it comes to weight, this one made me smile in a way that the Ken Timms did. And that low weight means resonance and projection. Setup is also, as expected, absolutely spot on and it's a joy to hold and play. As nice as I describe the tone below, I don't care much for the strings to be honest and will be changing them to my preferred fluorocarbon. It's not a sound thing, more the feel on the fingers, the fatter gauge than I would like and that tendency for nylons to go sharp as they warm up under the fingers. But as you should know by now, strings are totally personal choice and I won't be marking the scores down for these. 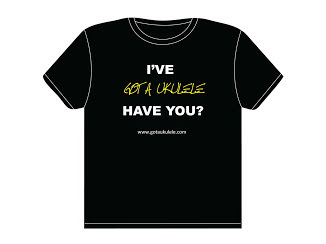 Tone wise we are in a totally different league here to most other ukuleles. It seems to have everything a good soprano should have. Good volume and bark when driven hard? CHECK. Bell like, clear and rich when played softly? CHECK. Jangle? CHECK. I'm not over egging things here. It's not the loudest ukulele ever, it's not got the most sustain ever, It's not the brightest ukulele tone I have heard on a soprano, and it's not the warmest either. But I think it kind of does all the different things very well and blends them expertly And that is something very clever to achieve and a 'best of all worlds' I think for the player. It's a package where it all comes together as it should. It's full, it's clear, it has a wonderful dynamic range, and it's a very pretty tone. And I guess that is what you call 'character'. One other thing that is clear to me (and is also the mark of a well made ukulele) is that it delivers all those great things above whether you play it hard OR play it softly. Some ukuleles can sound nice played soft, but lose the plot when driven hard. Some need to be driven hard and sound completely lifeless when played softly. Not here - no matter what you throw at it, it seems to deliver what you expect from it. I'd say it really does have that 'Island tone' people talk about, or rather a 'Koa tone'. It's broad and rich, and quite staggering how the lower notes and higher notes come through as clear as each other in the mix. I think that IS the Koa sound that highlights notes right across the range, and it's so enjoyable. And of course you have to add to that the wonderful playability too. It really is effortless and 'floaty' to play with minimal effort and makes you see exactly where the dollars count on this one. If you like your ukuleles more 'one trick ponies', either massively bright or massively loud or massively something else, I suspect this is not your ukulele. Some people do, and there is nothing wrong with wanting a 'punchy tone' or a 'mahogany tone'. 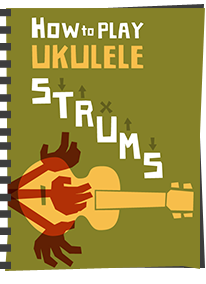 But if you want a blend of the very best traits of the various sounds from a range of ukuleles, I think this is one that deserves your very close attention. It's quite simply one of the best ukuleles I have played and understandably it comes very, VERY highly recommended. And turning back to all that history I mentioned at the beginning? Well, that isn't to say that this is a brand that is old fashioned or resting on laurels of past glories. Kamaka have continued to evolve, and continually improve in what they do. Some say that Kamaka ukes today are better than they have ever been. That's some heritage right there. It's a a ukulele that really does make you realise what all others have been looking up to for so long. What's not to like here? 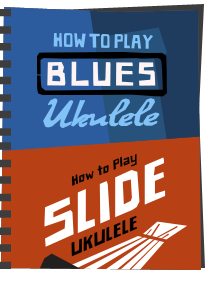 STOP PRESS - It seems odd to be writing a stop press before hitting publish on a review but... this blog post was written a week ago based on the ukulele as reviewed. As I say, I always review instruments based on the stock supplied strings on the basis that string choice is TOTALLY personal and some will change the, some won't. So the review and video is of the ukulele with Kamaka Nylon strings. It's since been strung with Martin fluorocarbons, and I find it much nicer, louder and brighter. I would not say 'better' for everyone, so the sound score remains as is below - just nicer for me! Some will ask if there were any issues with that as they are much lighter gauge and I can report none. Intonation is still excellent and I find them more playable for my fingers. Nope, i'm struggling.. Strings are not for me, but that's it really. 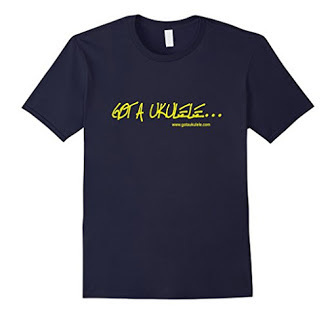 Indeed - but in the Kamaka range this is the basic one! Yes to all. I have 3 Kamakas, 2 1960s models and one modern. It took me awhile to warm up to the new one. The finish seems a little like an orange peel at first but after about a year it seemed to settle in nicely. Especially on the neck I find you don't get that sticky feeling when moving up and down the fret board like you do with other gloss finishes. It is a super concert so maybe a little different than the soprano, but I found after trying a dozen or so strings that I really prefer the Aquila Lava strings on it. They give a more percussive sound, maybe what you mention as Island Tone, I call "Troy Fernandez sound". Spot on review. I recently purchased a very badly damaged Kamaka soprano that's probably from the 1970s. The entire front/face was separated from the body, a natural knot below the bridge had split down to the bottom, and the bottom side had a pushed in ding about the size of a dime. I still paid $75 USD for it. Then I took it to a trusted luthier and left it there for weeks. They worked miracles and were very excited to work on the beautiful little instrument. I think I ended up spending around $300 for their work, plus another $100 for a nice Ohana case. Until you hold and play a Kamaka you have no idea what a fine instrument can do. It feels alive. And the tone is amazing. Uke playing friends are now searching for Kamakas of their own. I even managed to pick up a 70's era Kamaka pineapple that only needed a little bridge repair. A friend of mine has a recent vintage Kamaka Tenor. I am jealous beyond words. The thing simply sings. Great review - I don't think you can overplay how great these instruments are and completely worth the money. My first ukulele was a Kamaka. Six-string "Lili'u" model tenor, brand new and direct from the hands of Sam Kamaka. This was in 1983, when I was at the U. of Hawaii on a fellowship that paid $18,000 a year, so it was a big purchase for me. (Good grief, my friends said. 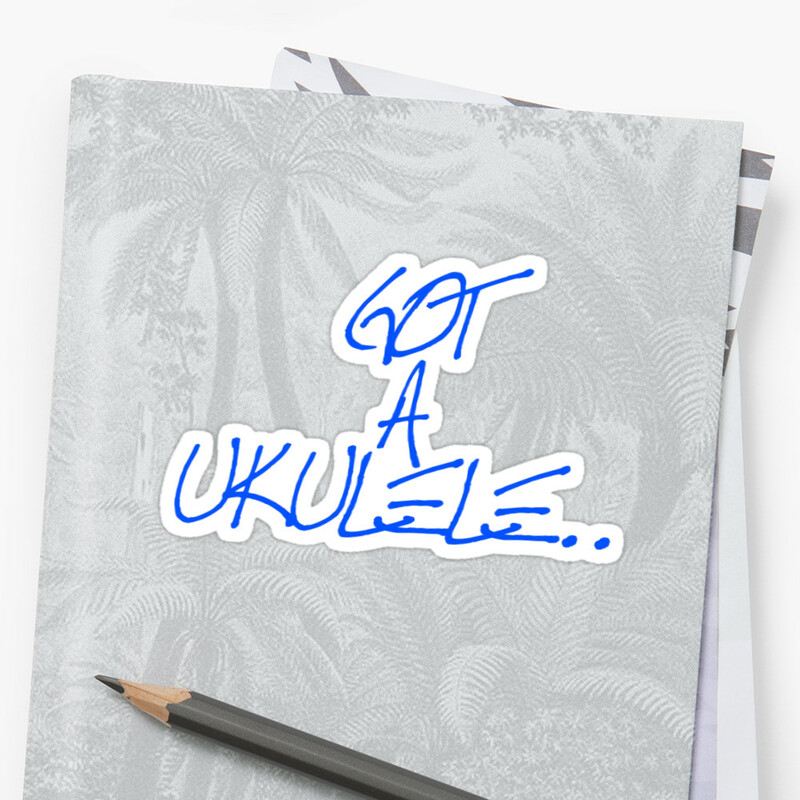 You paid $250 for a freakin' ukulele?? Are you nuts?). Drove it home to Lanikai (back then, that was only a beach town, not a ukulele brand) in the front basket of my motorbike. One of the very best ukes I have owned. Curses, Baz! You forced me to buy another ukulele! Fortunately, I was able to find an anniversary edition. Wow! Congratulations, we're all jealous. Those black UPTs look good too. I got the silver ones on my KoAloha, but I really like the look of the black ones. The 4:1 ratio seems like such a sweet spot too. I'd be tempted to get the long neck since that's what I started on and still feels right to me, but the "Standard" seems more pure, so if going for a Kamaka, maybe it'd have to be the standard neck. Enjoy! Any thought to putting up a sound sample with the new strings? Would love to see a long term review. Love my kamaka hf2 concert. Love the sound of the black nylon strings, but don't like the feel of them. When I'm need to change the strings, I may try worth clear fat strings. Even with the strings, I love it. In the 2 jam groups I attend, only 1 person prefers my kamaka to my wife ko'oloha opio concert, which is a stunning uke. I loved e both, but my kamaka is right for me! !